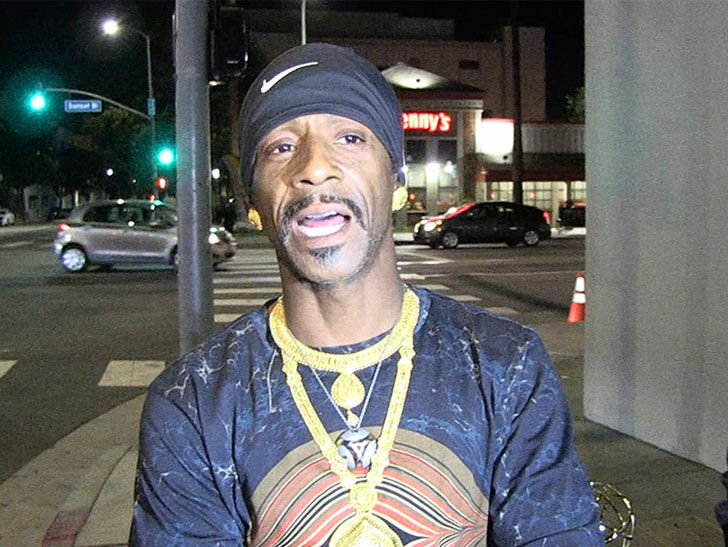 Katt Williams had some explaining to do about Tiffany Haddish and a gun that was supposedly pulled on him and, while he finally cleared the air ... it wasn't without difficulty. We got the comedian Monday night strolling the streets of L.A. after the Emmys -- with his own in hand -- and asked him to elaborate on Atlanta radio host Wanda Smith's husband allegedly pointing a gun at his face and chasing him to a supermarket across the street. Katt plays more than coy here ... he's just downright speaking in riddles with us. But, he does make one thing clear -- the sitch would've been far more dire if a gun was involved. Our camera guy also asks about the apparent hatchet burying that happened when he saw Tiffany at the award show. She posted photos of him kneeling before her in what looked like pure contrition. We got Tiffany at LAX Tuesday morning who echoed Katt's stance here ... no beef to see here. In fact, she's even open to working with the comedian in the future.